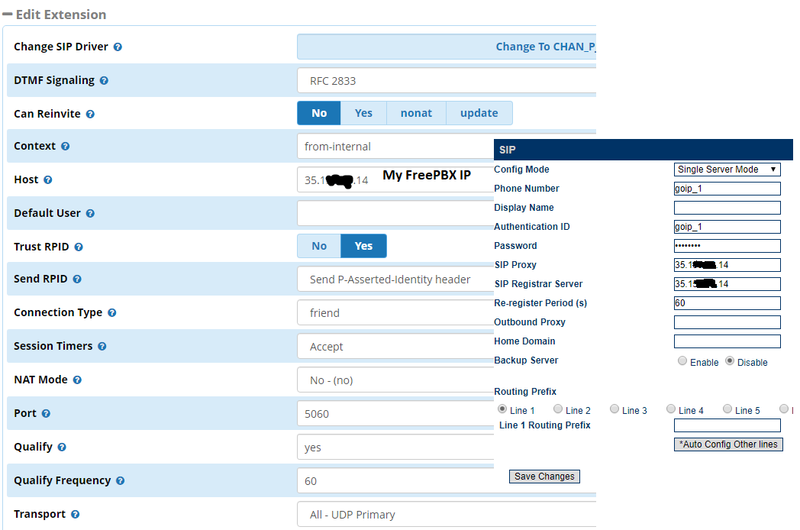 I’m having trouble with configuration of my AWS FreePBX sip trunk with a generic Goip Device. I have done the following Sip trunk configurations, outbound routes and extensions. But it looks like the CHAN_sip is offline or unmonitored. I cant register my extension to any softphone.